Here are a list of podcasts you might find useful to expand your Lean and Six Sigma knowledge. Author, blogger, and consultant Mark Graban interviews leaders and innovators in the “Lean” management and improvement methodology. Topics include lean healthcare, lean manufacturing, lean startups, and general lean enterprise topics. 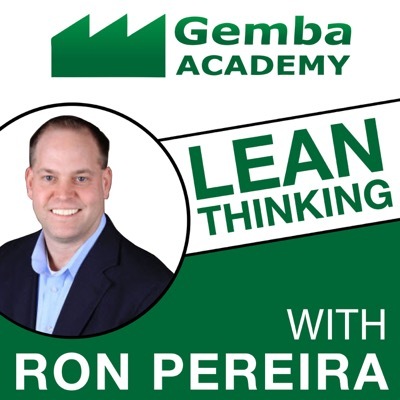 Ron Pereira, Co-Founder of Gemba Academy, shares his thoughts on all things related to productivity, leadership, lean manufacturing, lean office, lean enterprise, productivity, and six sigma. If you’re interested in learning how to become more productive and effective at work and in your personal life this podcast is for you! The official podcast of the Lean Enterprise Institute. Interviews with lean thought leaders like Jim Womack and John Shook and those from of adjacent communities. Blogger, Author, Customer Experience Fanatic, and Lean Practitioner Pete Abilla interviews leaders in Lean, Six Sigma, and Customer Experience. He interviews leaders in their respective fields and through these informal discussions we learn insights that you can apply immediately to your work today. Mark Graban reads and expands upon selected posts from LeanBlog.org. Topics include Lean principles and leadership in healthcare, manufacturing, business, and the world around us. Sessions and talks from the latest Lean Startup conferences (not updated often, but lots of content all at once). Dr. Galsworth talks about some aspect of the visual workplace and how to embed your operational intelligence into the physical landscape of your company through visual devices. A great complement to lean, but not the same thing. 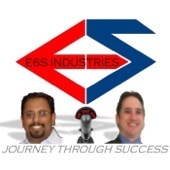 Learn practical tips and trips about Lean, Six Sigma, project management from Jacob and Aaron, posted once per week.